1.Tian Mi, Min Qingwen, Lun Fei, et al. Evaluation of Tourism Water Capacity in Agricultural Heritage Sites[J]. Sustainability 2015, 7(11):15548-15569. 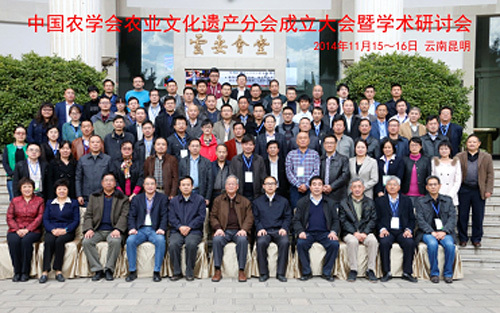 2.Wang Weiqi, Wang Chun, Sardans Jordi, et al. Agricultural land use decouples soil nutrient cycles in a subtropical riparian wetland in China[J]. Catena, 2015, 133(133):171-178. 3.Fuller M Anthony, Min Qingwen, Jiao Wenjun, et al. Globally Important Agricultural Heritage Systems (GIAHS) of China: the challenge of complexity in research[J]. Ecosystem Health & Sustainability, 2016, 1(2):1-10. 4.Wang Weiqi, Min Qingwen, Jordi Sardans, et al. Organic Cultivation of Jasmine and Tea Increases Carbon Sequestration by Changing Plant and Soil Stoichiometry. Agronomy Journal. 2016, 108(4):1636-1648. 5.Min Qingwen, Zhang Yongxun, Jiao Wenjun, et al. 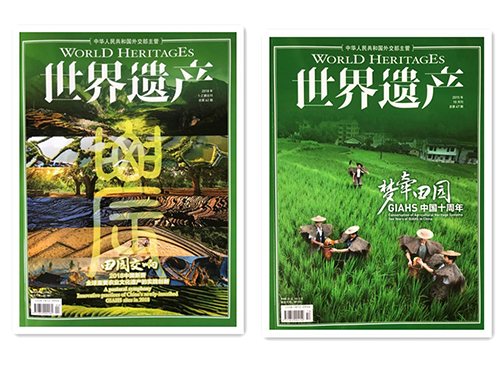 Responding to common questions on the conservation of agricultural heritage systems in China[J]. Journal of Geographical Sciences, 2016, 26(7):969-982. 6.Li Jing, Min Qingwen, Li Wenhua. Evaluation of water resources conserved by forests in the Hani rice terraces system of Honghe County, Yunnan, China: an application of the fuzzy comprehensive evaluation model. Journal of Mountain Science. 2016, 13(4):744-753. 7.Jiao Wenjun, Fuller M Anthony, Sun Xueping, et al. 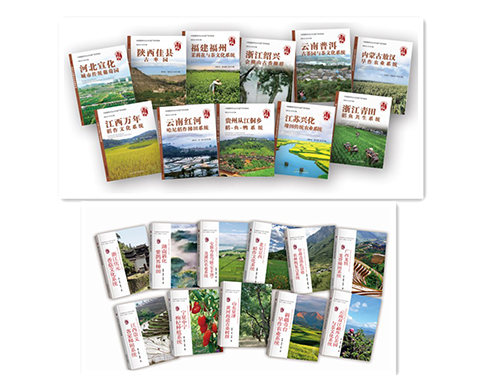 Socio-Ecological Adaptation of Agricultural Heritage Systems in Modern China: Three Cases in Qingtian County, Zhejiang Province[J]. Sustainability, 2016, 8(12):1260. 8.Jiao Wenjun, Min Qingwen, Fuller M Anthony. Converting rice paddy to dry land farming in the Tai Lake Basin, China: toward an understanding of environmental and economic impacts[J]. Paddy & Water Environment, 2016, 15(1):1-9. 9.Zhang Yongxun, Min Qingwen, Zhao Guigen, et al. Can Clean Energy Policy Improve the Quality of Alpine Grassland Ecosystem? A Scenario Analysis to Influence the Energy Changes in the Three-River Headwater Region, China[J]. Sustainability, 2016,(8):231-244. 10.Tian Mi, Min Qingwen, Jiao Wenjun, et al. Agricultural Heritage Systems Tourism: definition, characteristics and development framework[J]. Journal of Mountain Science. 2016, 13(3):440-454. 11.Zhang Yongxun, Min Qingwen, Zhang Canqiang, et al. Traditional culture as an important power for maintaining agricultural landscapes in cultural heritage sites: A case study of the Hani terraces [J]. Journal of Cultural Heritage, 2017, 25: 170-179. 12.Yang Lun, Liu Moucheng, Lun Fei, et al. An Analysis on Crops Choice and Its Driving Factors in Agricultural Heritage Systems—A Case of Honghe Hani Rice Terraces System[J]. Sustainability, 2017, 9(7):1162. 13.Jiao Wenjun, Min Qingwen. 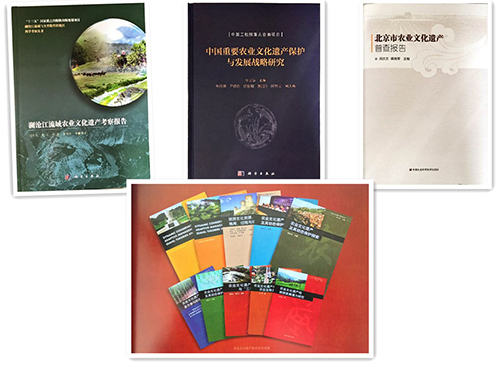 Reviewing the progress in the identification, conservation and management of China-Nationally Important Agricultural Heritage Systems (China-NIAHS)[J]. Sustainability, 2017, 9. 14.Liu Shaohui, Jiao Wenjun, Min Qingwen, et al. The Influences of Production Factors with Profit on Agricultural Heritage Systems: A Case Study of the Rice-Fish System[J]. Sustainability, 2017, 9(10):1842. 15.Zhang Yongxun, Min Qingwen, Li Heyao, et al. A Conservation Approach of Globally Important Agricultural Heritage Systems (GIAHS): Improving Traditional Agricultural Patterns and Promoting Scale-Production[J]. Sustainability, 2017, 9(2):295. 16.Su Mingming, Sun Yehong, Min Qingwen, et al. 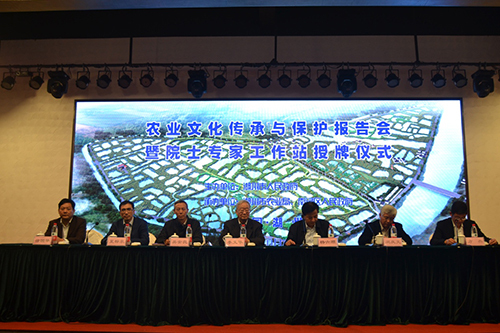 A Community Livelihood Approach to Agricultural Heritage System Conservation and Tourism Development: Xuanhua Grape Garden Urban Agricultural Heritage Site, Hebei Province of China[J]. Sustainability, 2018, 10(2):361. 17.Liu Moucheng, Yang Lun, Bai Yanying, et al. The impacts of farmers’ livelihood endowments on their participation in eco-compensation policies: Globally important agricultural heritage systems case studies from China. Land Use Policy, 2018, (77):231-239. 18.Liu Moucheng, Yang Lun, Min Qingwen, et al. Eco-compensation standards for agricultural water conservation: A case study of the paddy land-to-dry land program in China. Agricultural Water Management, 2018, (204):192-197. 19.Liu Moucheng, Yang Lun, Min Qingwen. Establishment of an eco-compensation fund based on eco-services consumption [J]. Journal of Environmental Management, 2018, 211:306-312. 20.Liu Moucheng, Min Qingwen, Yang Lun. Rice Pricing during Organic Conversion of the Honghe Hani Rice Terrace System in China [J]. Sustainability, 2018, 10(1):183. 21.Kajihara H, Zhang Su, You Wonhee, et al. 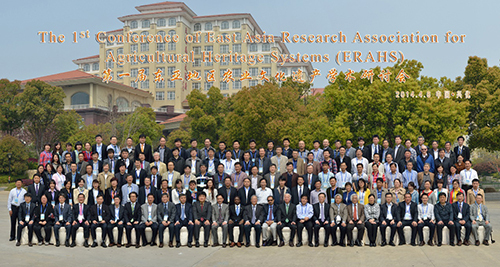 Concerns and Opportunities around Cultural Heritage in East Asian Globally Important Agricultural Heritage Systems (GIAHS) [J]. Sustainability, 2018, 10(4):1235.